wM The promotion code is valid, works perfectly, simply add the selected item to the bag and enter the promotion code RAEANN15 in the check out process to receive the Discount. Some exclusions may apply. Mariangel Gomez I'm validating that this deals works as described. 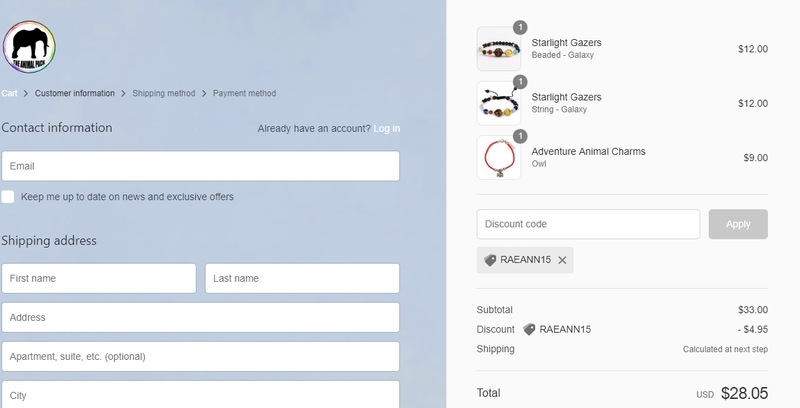 Go to The Animal Pack, add the item to your shopping cart. Enter promo code and save 15% discount site-wide. adrian "I am validating that this deal works as described. Just type the promo code into the promotion code box and click apply to enjoy the promotion. Some exclusions may apply." Dylanrodriguez I am validating that this deal works as described. Enter code and enjoy 15% Off Your Next Order at The Animal Pack (Site-Wide). This is a limited time offer.